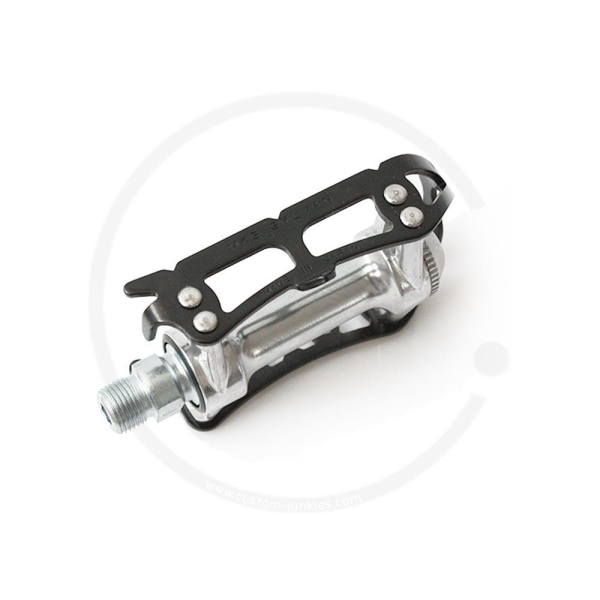 The MKS Sylvan Road pedals are classic road pedals and therefore ideal for equipping classic road or single speed bikes. Single-sided step-area, i.e. designed for use with toe clips & straps. 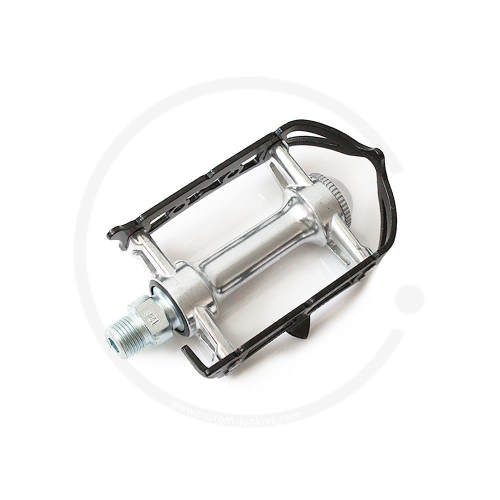 Material: CrMo steel axle and alloy body, cup & cone bearings, pedal thread: 9/16" standard, size: 101mm x 61mm, weight: 360g (pair).